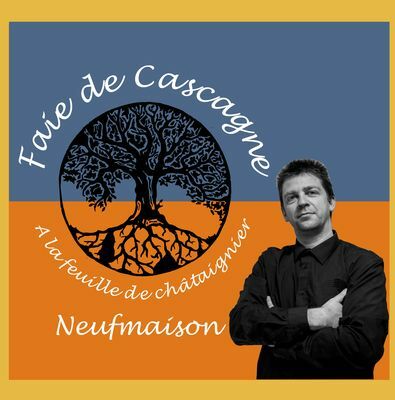 The history of Cascagne Faie beer. In our quest to add a little more colour to Neufmaison and to offer a new product, we came up with the idea to give it a beer. Why a beer? Simply because it’s an appealing product of historic importance for Belgium. In the past, each village and almost every farm had its own beer because the owner had to offer its “seasonal workers” board and lodging. And as they say beer is bread, each farm made its own beer. Neufmaison has been a rural village since the dawn of time. In addition, there is no village beer in Neufmaison. By teading a book on the history and the birth of Neufmaison, I’ve learned about the history of chestnut and its importance for the village. We honour this village symbol by dedicating a beer to it: “The making of cascagne”. This is the Walloon translation of “chestnut leaf”. Therefore, it is made of two malts and hops, but also chestnut leaf and chestnut puree. • The water is derived from brewing. •The malt comes from the malt houses of Beloeil and has therefore been grown in the region. • The hops comes from Warneton (Comines).